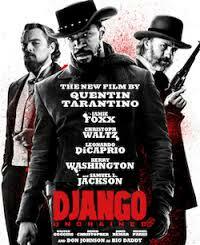 By now, many of you have seen the Quentin Tarantino film Django Unchained. I have watched it several times, and my admiration for the story, and the actors that brought it to life, continues to grow. But what you need to know about Django Unchained is it is the spark that moved me to write ADINKRAHENE: Fear of a Black Planet. You see, Django Unchained is a story that casts a black man as the protagonist (I know, I know, Marc H. Django the hero didn’t kill Candy the villain, but he did get his woman back.). In an era where black men are rarely the ones saving the day, we have to tip our hats to Tarantino. He ran against the grain because he seemingly knows that we contemporary African Americans are still salty about the way our ancestors were treated. You could even argue that our ire is intensified even more when we see and hear Republican politicians and Conservative thought leaders attacking the gains that this country made during the Civil Rights Movement of the 1950s and ’60s. For some strange reason, these unenlightened Americans want their White American brethren to think something was taken away from them when this piece of legislation was passed. They’re wrong. For this reason alone, I will be using this series of books to skewer the Republican Party. I assert that the Republican Party has been co-opted by the Corporate Cabal (i.e., White ruling class), and members of the Corporate Cabal have sold their souls to the demonic Satarian Empire. How else would you explain the GOP ‘s insensitivity to African-American challenges and concerns? The Devil must be making them do it. I just hope the unenlightened become enlightened through the reading of my words. There has been talk that racism and discrimination are things of the past just because America elected its first, black president. Yes, electing Barack Hussein Obama as the leader of the free world is, and always will be, a good thing, but that doesn’t mean we’re now judging people by the content of their characters. If anything, the cracks in our unity are becoming more evident, and they are becoming more pronounced because GOP leaders don’t want to relinquish control of the plantation. But they have to relinquish control because we African Americans, like Django Freeman, will never again pick cotton…without compensation. I still remember seeing an elderly, white woman dragging her husband out of the theater during Django Unchained’s opening weekend. This was done within the film’s first hour. She obviously was taken aback by the level of violence that Django, a black man, exacted against the bigoted, white slave owners. I readily agree that Tarantino’s brand of violence left little to the imagination. But why should it? We African Americans know that slave owners and Jim Crow criminals exacted a similar kind of violence against our ancestors. 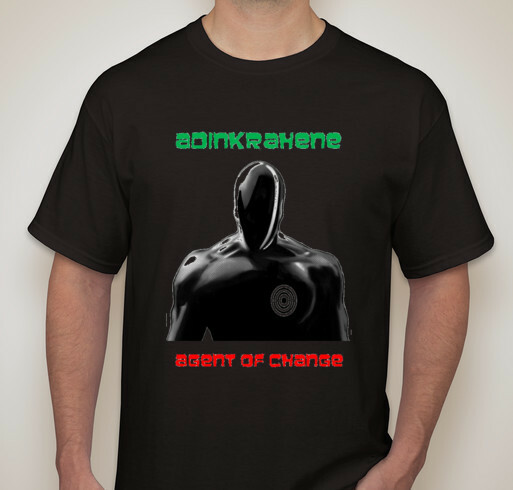 In ADINKRAHENE: Fear of a Black Planet, I give you a cast of altruistic black characters that have been chosen by the one, true God to rebuild what Dr. Martin Luther King, Jr. called the Beloved Community. But I counter their altruism with Black-Out, a black militia group that is committed to avenging the deaths of our fallen African and African-American ancestors by any means necessary. By pitting the Adinkrahene Reparations Management Syndicate (ARMS) against Black-Out, I hope you, the reader, will be able to see why all of us – red, brown, yellow, black and white – have been called to become Progressive agents of non-violent change.